I have a complaint: Fall will not happen! Last week Dallas Raines told us that on Sunday we would have a high of 79. This did not happen. It was in the 90’s! Now I’m looking at next week’s weather predictions and I’ll have to push soup off another week. It’s just too hot for soup! Friday – Grilled Honey Mustard Chicken (grilling Friday!) going to go off of this version. Paper Plate Weekends – This weekend we started Paper Plate Weekends. This is to cut down on the pile up of dirty dishes over the weekend. I even got some festive fall paper plates and as much as possible we used paper plates for the weekend. It worked pretty well. I think it’ll save water too. This entry was posted in Home, Kitchen and tagged cooking, Home, meal plan monday on September 24, 2012 by Shannon. Apparently every fall I attempt to really get back down to both meal planning and blogging. I looked back at my past “Meal Plan Monday”s and found that I had restarted last year also on the week of Talk Like A Pirate Day. And the last one I did was the week of Halloween last year. Oops. I have Pinterest now, so maybe things will be better? Monday – Macaroni & Cheese, Green Beans. I need to make double to bring dinner to a sick family. Tuesday – Our first day of MOPS! We’ll have chicken & rice stir fry for dinner. I’m also bringing an egg dish and a bread for our first MOPS meeting. Wednesday – Taco Like a Pirate, it’s Talk Like a Pirate Day! 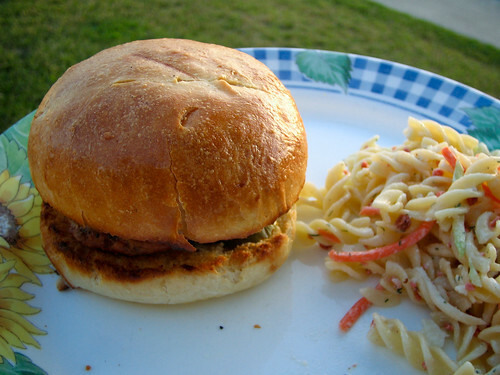 Friday – Grilled Turkey Burgers with potatoes and corn on the cob. This entry was posted in Home, Kitchen and tagged cooking, Home, meal plan monday, menu on September 17, 2012 by Shannon. I’m trying to get back into the habit of packing Jerrod’s lunches for work. 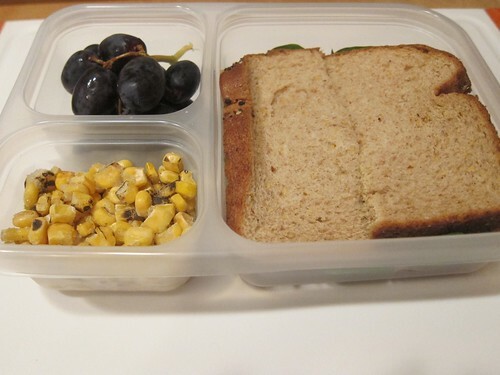 So, here’s yesterday’s, roast beef sandwich with cheese and spinach, grapes, and roasted corn. He also got some chips in a baggie. 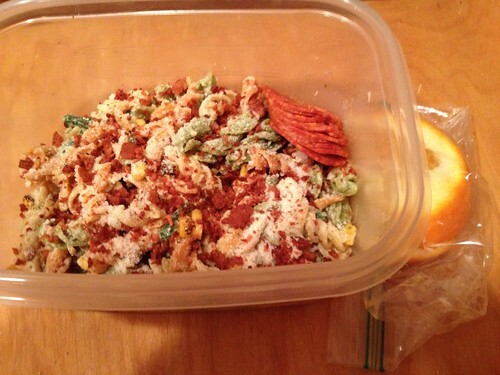 Today, pasta salad, pepperoni, and orange slices. This entry was posted in Home, Kitchen and tagged Home, kitchen, lunch on March 14, 2012 by Shannon. Many times a couple of days get changed on my meal plan. Last week almost every day was altered. But was it a fail? I still made dinner and I cleaned out the freezer a bit. Last week, this is what happened. Reality: I realized the milk had expired. So instead of making a cream sauce a made a bake of pasta, ground turkey, and broccoli in creamy marinara topped with cheese. Reality: I discovered we needed to try not to go to the store this week if possible and alter things slightly. I clean out the freezer and bake Trader Joe’s chicken strips and Trader Joe’s garlic fries. We still had the corn and I added smoothies(strawberry/banana/pineapple juice). Reality: Still on my “don’t go shopping” challenge, I had no chicken. We hadn’t had the planned tacos so I still had the cooked meat for that in the freezer. I made a somewhat rice pilaf like stovetop taco rice one pan dinner with rice, ground beef, onions and corn, topped with sour cream and cheese, and we still had green beans. Reality: The no-shopping challenge was ended and we needed something from the Apple store, so we had dinner at the mall food court. So we didn’t try the Macaroni & Cheeseburger last week. We’ll have to try again this week. Here’s what I’m hoping will happen. Monday – Halloween! We are going to the “Block Party” at my friends’ church. There are supposed to be four gourmet food trucks there, so we will eat at the church. Friday – Going to a community meetup, so I’m not making dinner. This entry was posted in Kitchen and tagged meal plan monday, memes on October 31, 2011 by Shannon. It can be so hard to plan consistently! This is an experimental dish where we put macaroni and cheese on a cheeseburger. I have several versions of this I want to try. I’ve done a skillet type “cheeseburger macaroni”. 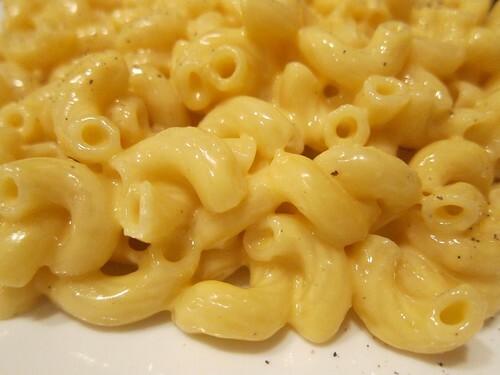 This time I plan to try the straightforward macaroni and cheese on burger method. Crazy? perhaps. This entry was posted in Home, Kitchen and tagged cooking, meal plan monday, memes on October 24, 2011 by Shannon. My first try at doing Muffin Tin Monday. This was my husband’s lunch today. This entry was posted in Home, Kitchen and tagged cooking, memes on November 29, 2010 by Shannon. Last month, we got a new grill here. A proper one that works nicely. A little over a week ago I put “turkey burgers” on my dinner schedule for a Friday and planned to grill them and make my own buns. 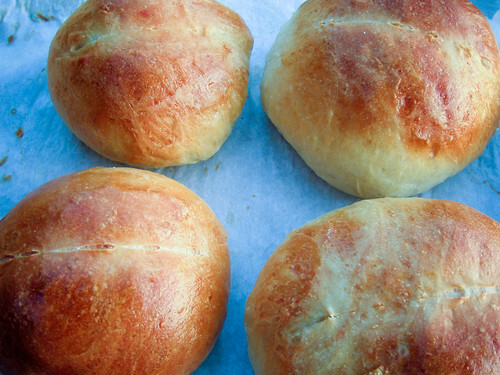 I made the “light brioche buns” from smitten kitchen. 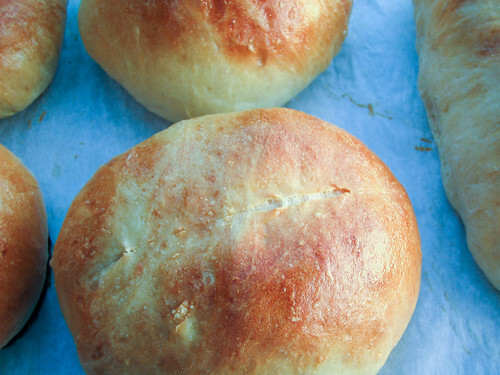 They were really good and pretty easy, I didn’t even use my stand mixer for them. I didn’t have any sesame seeds so I just spilt the tops. I made turkey burger patties with cheese inside them, and we also grilled the buns. It was really good. I made the pasta salad for myself for lunch earlier and saved it for a side dish. 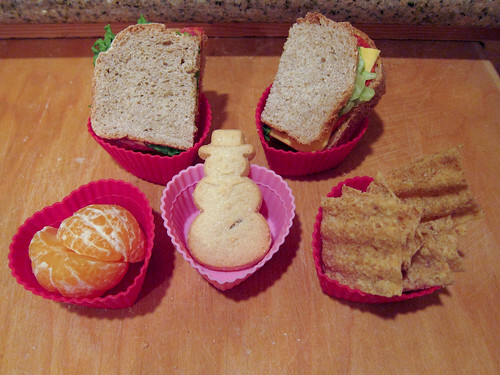 This entry was posted in Home, Kitchen and tagged baking, bread, buns, burgers on June 28, 2010 by Shannon.